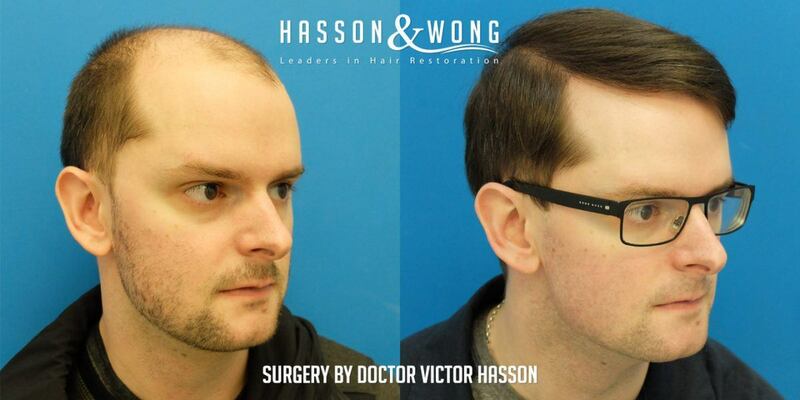 Hasson & Wong hair transplant patient results. 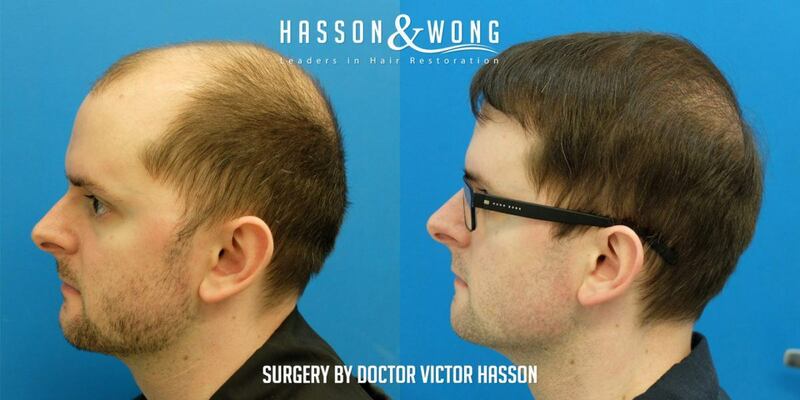 Photos and patient profile provided by and posted on behalf of Hasson & Wong Vancouver, Canada. Breakdown - 2190 singles, 4564 doubles and 510 3-4 hair grafts were used. The following is a norwood class 6 patient. Patient is in his late 20s and shows very extensive hair loss at this young age. While most men do start to lose their hair in their 20s, that are not that many that have progressed to norwood class 6 before they reach 30 years old. 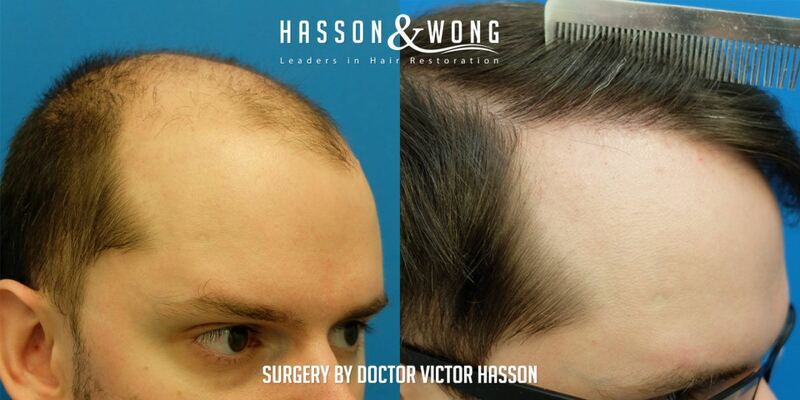 Norwood 6 is always a challenge when it comes to hair transplant. Patient expectations, donor density, scalp laxity and many other factors come into play. Patient education is key here as the patient must be made aware of the fact that although hair transplant can be a very effective treatment for some people, there are indeed serious limitations especially for someone with severe baldness. 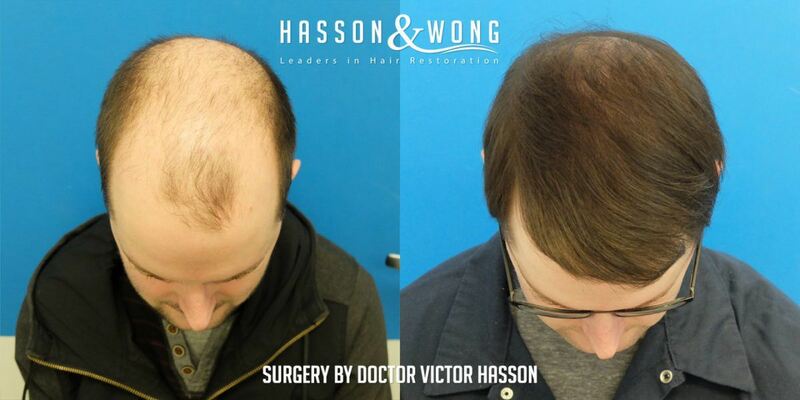 This patient’s research led him to Hasson & Wong; one of the most celebrated names in the world of hair transplantation. 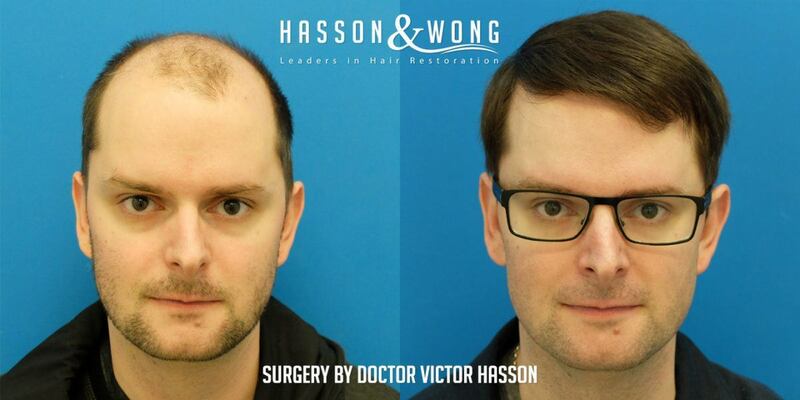 There are very few in the world who can create transformations for norwood 6 patients as remarkable as H&W. As part of the patient’s due diligence, he had met with one of H&W consultation specialists in Calgary before proceeding with the procedure. The in-person consultation was particularly helpful as it allows the patient to receive a more accurate assessment of his condition and also to fully understand what to expect from the procedure, treatment details and other factors before making a decision. 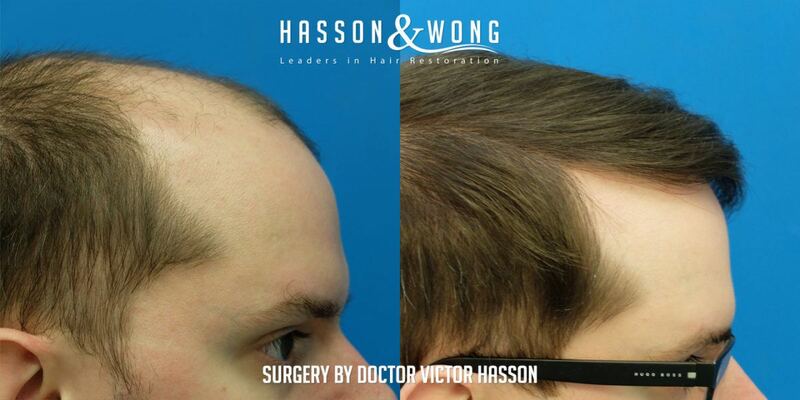 Below is the before and after result for this norwood class 6 patient. 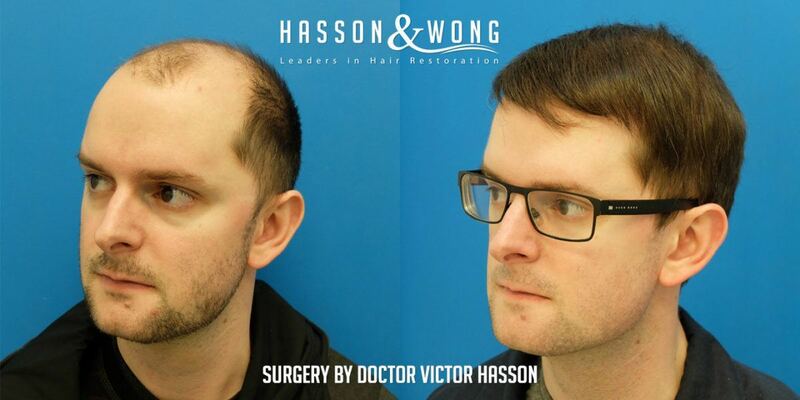 Hasson and Wong has long been setting the standards as to what world class mean in the world of hair restoration. FREE no obligation in-person consultations are available at multiple cities throughout US, Canada and Europe. I know the patient is thrilled.